If you don’t want to invest in a full security system, installing a video doorbell can go a long way in keeping you and your family safer. They not only protect the most vulnerable point of entry to your home (the front door) but also help you keep an eye on porch valuables like newly delivered packages or your favorite lawn gnome when you’re away from your home. Ring also offers two different protection plans for a small monthly fee that work as a warranty for your Ring equipment. But the most useful thing about Ring’s Protect plans is that they give you access to cloud storage where you can review and share past videos. We at least recommend the basic plan for the one-year warranty and access to cloud storage and sharing. 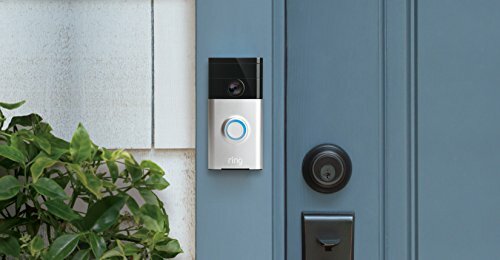 It might be the first iteration of Ring doorbell cameras, but the Ring Video Doorbell still beats newer models of Ring doorbell cameras in two important ways. First, it’s the most affordable Ring camera, costing about half the price of the Ring 2 and a fifth the price of the Ring Elite. Second, it has the widest field of view in the Ring line, which gives you a full 180º view when monitoring the front of your home. 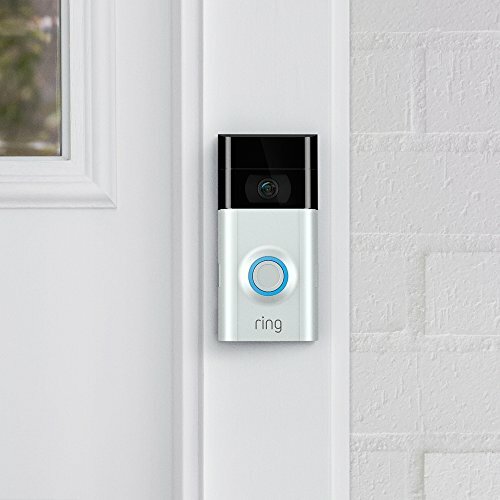 The Ring 2 makes a few key improvements on the original Ring doorbell camera. Most notably, it upgraded from 720p to a 1080p resolution. The Ring 2 captures clean, sharp video that looks superior to its predecessor—so much so that you probably won’t mind the slightly narrower field of view. The Ring Pro is nearly identical to the Ring 2 in terms of both technology and price. The Ring Pro’s biggest advantage over the Ring 2 is that it’s smaller and more aesthetically appealing than its clunky predecessor. If you’re not opposed to hardwiring your doorbell camera, we’d recommend the Ring Pro over the Ring 2, but it’s no doubt a close race between the two. The Ring Elite is similar to the Ring Pro in most ways, but its greatest advantage is its power over Ethernet (POE) connection. Put simply, POE combines your Ethernet cable and power source to provide a simpler and more reliable connection for the Ring Elite. That said, the price of the Ring Elite probably isn’t worth that single feature for most casual buyers. Ring’s doorbell cameras are self-monitored through a free smartphone app. Once your camera is installed, the monitoring is pretty straightforward. From the app you can watch live video feed of your front porch and set up custom motion detection zones. If you live on a busy street, you can customize the motion detection fields so you don’t get a push notification every time a car drives by your house. We like the Ring app for its ease of use. It might not be the most feature-rich app on the market, but it’s simple and reliable, and it gives you all the features you need to customize your monitoring to your home. Do we recommend Ring doorbell cameras? 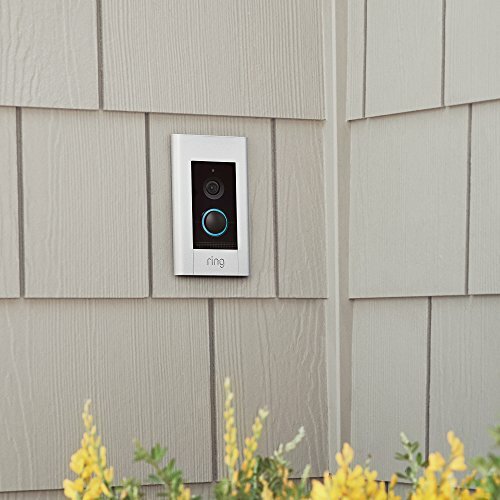 If you don’t want to invest in a complete security system, Ring’s DIY, self-monitored doorbell cameras can provide a great added layer of security to your home at its most vulnerable point. Ring’s hardware is solid, albeit a bit clunky in appearance. And the app is effective and dependable when you need it most. For most homes, the Ring 2 offers the best balance between cost and features. It gives you high-quality video footage compared to the original Ring, but at a reasonable cost compared to the Ring Pro and the Ring Elite. We also like that it’s the only Ring camera that can operate wired or wireless, giving you more flexibility if wiring isn’t a sound option at your house. Do you have experience using a Ring camera? We’d love to hear your thoughts in a comment below.